As you can guess, your brother chafed under the Nikon yoke. Or, said otherwise, never having been a “natural” fan of Nikons (just as I am not a “natural” fan of Porsches), I really didn’t like wearing the stock black neckstrap with the bright yellow “NIKON” on each shoulder. Besides, it’s kind of a clunky neckstrap. Yes, the Industry Disgrace. By Crumpler. $30 worth of escape from Nikon-logo neckstraps. A nice neckstrap. The straps lie flat on the chest. The camera pitches forward very little, even with the 55-200 mm zoom on it. The behind-the-neck “feel” is comfy. Lots of length adjustment. And I can walk around with out feeling “cringe-y” because my neckstrap has exhibitionist tendencies (except, of course, for those of us who recognize the obscure Crumpler logo for what it is – everyone else is wondering what Punchy, the Hawaiian Punch mascot, is doing on your shoulder). 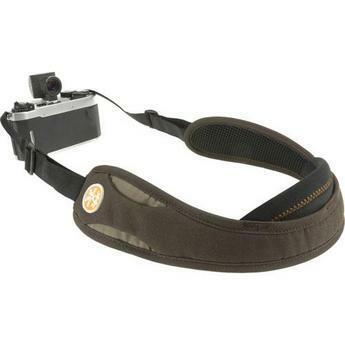 So…swap your snooty Nikon neckstrap for a snootier Industry Disgrace. I did. I’m now the hottest snot in town. Just ask me. Agree on all points. Will investigate strap. I go one step farther. Black electrical tape cut to fit over “NIKON” on flash housing. Ditto over “D90” emblem. It helps when shooting groups of people in candid settings because they don’t read “NIKON” and react. Cartier-Bresson used to paint his Leicas black. to keep from distracting people.